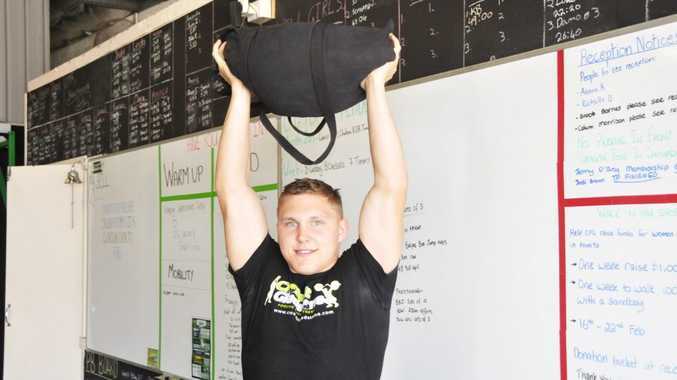 LUGGING weights of 15 to 20kg for up to 100 km is a tough task the crew at Crossfit Gladstone are ready to take on. Embarking on a bold journey to gain an understanding of daily struggles faced by women in developing countries, the trainers will walk the distance over the coming week. Jardan Morrish, from Crossfit, says the gym's trainers and members are keen to raise money for those less fortunate than themselves. "We want to get a feel for what women and children have to go through to have the most basic necessities in day-to-day life in other countries," she said. "We are an active and supportive community, so this fundraiser ties into what we are doing, while at the same time giving back." The Walk In Her Shoes initiative provides a window into the physical and mental challenges that modern society often overlooks and neglects to acknowledge. CARE Australia CEO Dr Julia Newton-Howes is expecting record numbers to register for the 2014 event. "Walk In Her Shoes 2014 will be bigger and better than ever," she said. "With the support of thousands of Australians, we are aiming to raise more than $1.25 million to help women in developing countries lift themselves out of poverty." If you would like to get involved, you can visit the Crossfit Gladstone gym, located at 26B Chappel St, where you can donate funds or find out more about the project.